Although pharmaceutical companies spend billions on research and development in an effort to treat and ultimately cure cancer and other forms of disease, academic institutions, such as the University of Colorado, are at the forefront of innovation. In recent years, funding for academic institutions and the National Institutes of Health (NIH) has all but dried up, making donations from the Colorado Cancer Foundation (CCF) and other non-profits vital. Chances are you know someone whose life has been adversely affected by cancer. Yet, the number of people who die as a result of cancer varies significantly from state to state. For instance, in 2018 there were less than 3,000 reported deaths in Wyoming and nearly 300,000 in California. The reason for this is due, in part, to population size, but a number of other factors are also at work. If you'd like to learn more about cancer and the myriad ways it affects people we invite you to review this fact sheet produced by the American Cancer Society. Since it's inception in the early 1980's, the Colorado Cancer Foundation (CCF) has donated hundreds of thousands of dollars to cancer patients and researchers, including but not limited to Dr. Will Robinson, who maintains a laboratory at the University of Colorado Anschutz Medical Campus in Aurora, CO. In 2017, the CCF donated nearly $13,000 to Dr. Robinson's lab for a new microscope. In early June 2017 several members of the Colorado Cancer Foundation (CCF) Board of Directors visited Dr. Robinson's laboratory at the University of Colorado Anshcutz Medical Campus in Aurora, CO where they received a firsthand look at the technology used by researchers in the continuing fight against cancer. 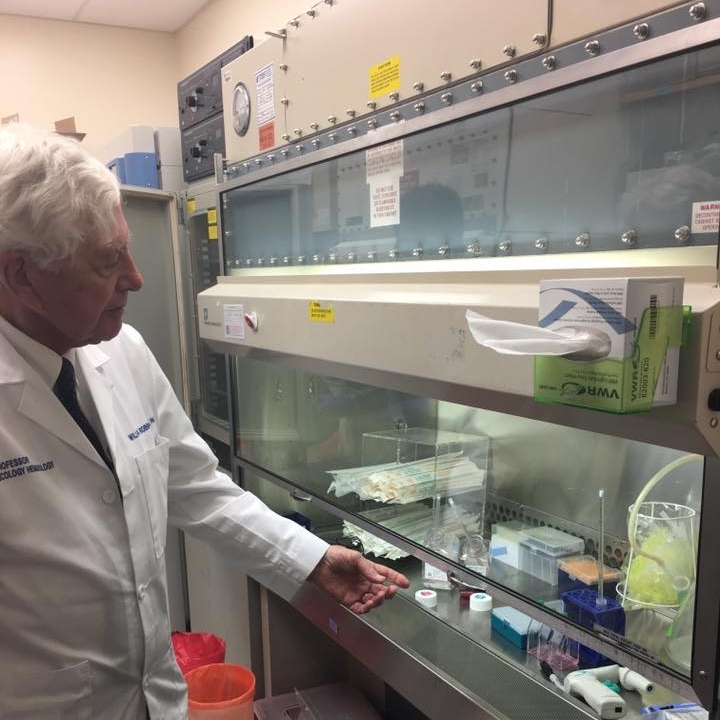 Dr. Robinson demonstrating the "tissue culture hood," which provides a sterile environment for manipulating a variety of human cells. Dr. Robinson demonstrating the proper use of a high-powered microscope purchased for the Robinson Lab at Anschutz by the Colorado Cancer Foundation. Over forty years ago, Dr. Will Robinson was able to help Stan Havlick's wife recover from an aggressive form of cancer, and the two friends continue to partner. From left to right: Lora A. Wilson, PhD, Will Robinson, MD, PhD, Yo Schmidt, Stan Havlick, Pietro Simonetti, MBA, and Holly Grady, MBA.